Invoices will be emailed to successful bidders within 24 hours of auction close, be sure to contact us quickly if you do not receive your invoice. UNPAID invoices will be subject to a 10% restocking fee. If you are unable to make timely payment, please do not bid. Please REVIEW YOUR INVOICE CAREFULLY. Your registered Credit Card WILL BE CHARGED within 48 hours of the auction close time unless you contact us to make alternative payment arrangements. Contact Us by email or Phone Should You Wish to Make Other Payment Arrangements.All internet bids are treated as if they were given at a live auction. Our clerk will represent your bids but sometimes on-site floor bidders beat the clerk and the auctioneer will acknowledge the first bid seen or heard. All Bidders will be held accountable for their internet bids. Your internet bids are a contract and you are responsible for honoring them. Lots are sold 'as is, where is ' absolutely no exceptions, warranties or guarantees', and the ultimate determination as to authenticity and condition is the responsibility of the bidder. The placing of a bid will be taken as full agreement to all terms & conditions. The auction house has the right to withdraw any lot. Auctioneer reserves the right to cancel / nullify the sale of any lot sold through auction.Absentee Bidding is used by those who cannot attend the auction in person. Absentee bids may be submitted via our mobile app, website or internet bidding websites. Absentee bidders agree to all terms and conditions. In terms of a tie bid between an absentee bidder and the auction floor, the auction floor will win said item at their amount bid.The Removal Deadline for all items in this auction is 20 days after the close of the Auction. Please contact us before bidding if special arrangements are necessary for an extension. On-site shipping services is available for packaging, shipping services.Florida Buyer's must also pay all sales tax. To receive the benefit of any tax exemption, Buyer must supply us with a FL State Sales Tax Exemption Certificate. Gun Auctions USA, LLC would like Buyers to feel they have been treated fairly and pay a fair price for the items based on their condition. Please do not enter a bid at a price that is greater than you are comfortable paying for any individual item based on its condition. There will be no adjustments to the final bid price after bidding has ended.All items in this auction are sold on an "AS IS" basis with no warranties or representations whatsoever, either expressed or implied. Neither Gun Auctions USA, LLC nor the Sellers make any warranties or representations of any kind with respect to the property or its value, and in no event shall they be responsible for correctness of description, genuineness, attribution, provenance, authenticity, authorship, completeness, condition of the property or estimate of its value. No statement (oral or written) in the catalog, during inspection, or elsewhere shall be deemed such a warranty or representation, or any assumption of responsibility. WITHOUT LIMITING THE GENERALITY OF THE FOREGOING, THE WARRANTIES OF FITNESS FOR A PARTICULAR PURPOSE AND MERCHANTABILITY ARE EXPRESSLY DISCLAIMED. AUCTION TERMS OF SALE. VERY IMPORTANT! READ CAREFULLY BEFORE YOU ATTEMPT TO BID! ONCE YOU BID, YOU WILL BE BOUND LEGALLY BY THE FOLLOWING TERMS AND RULES THAT ARE STATED HERE:BIDDER IDENTIFICATION: All purchasers are required to complete registration, including full name, address, phone and email. Please make sure all INFORMATION is ACCURATE at the time of registration. Delays and/or Losses can occur if improper information is provided. CREATING A USERID & PASSWORD: Just click the ?Submit Bid? button on any of our auction items and follow the instructions. It?s easy to get registered and takes about two minutes! If you need assistance registering, E-Mail us at info@gunauctionsusa.com Our monthly firearm online auction starts the first week of each month and is added to daily. Most auction items start at $25 with no reserve. PAYMENT: The Buyers Premium is 13% for Cash/Certified Funds and 16% for Credit Card payers. The Buyers Premium is added to each invoice. Auction invoices must paid promptly by certified bank check, money order, major credit cards or cash. When bidding in any respective auction has finished an invoice will be sent to the registered bidder email address from info@gunauctionsusa.com. Please REVIEW YOUR INVOICE CAREFULLY. Your registered credit card will be charged within approximately 48 hours after the Auction Close Time. Contact us by email or phone should you wish to make other arrangements. We accept VISA, Master Card, Diners Club, American Express, or Discover. Checks are accepted from the registered bidder with proper identification and appropriate time for clearing of funds. Cash & Bank Wire funds are also accepted. It is a Federal crime to write a non-sufficient fund check or cancel a credit card on a firearms purchase ? we report the gun as stolen to the ATF and local law enforcement ? there is a mandatory prison sentence for the stealing of a firearm ? so bear this in mind when writing a personal check or using a credit card. All payments, background checks and personal transfer of firearms will be made at the Gun Auctions USA location in Largo, Florida. All auction guns must be promptly removed (if Instant Check is a proceed). Florida State Sales Tax of 7% will be added to each invoice if the winner is present at the auction facility (Provide your FL Sales exemption certificate to remove sales tax. Out-of-state shipped orders are also exempt from sales tax).KNOW YOUR LAWS BEFORE BIDDING: We reserve the right to refuse a bidding account to anyone. Under no circumstances may you apply for a bidding account if you are under any kind of a disability in terms of possessing a firearm of any kind. No exceptions. Also, if you cannot possess a firearm, you must NOT enter our auction facility in Largo, Florida. We are an FFL dealer, so all federal and state firearm laws govern every aspect of these online auctions and any infractions will be immediately reported to local law enforcement agencies and the ATF. You must be 21 to purchase rifles or shotguns and 21 to purchase a handgun. You must be age 21 to purchase long gun ammunition and age 21 or older to purchase handgun ammunition. You are responsible for knowing if your state bars a certain type of firearm/ammo/accessory from being shipped to you. If you purchase an item that cannot be shipped to your state, we will auction this item at the next auction and mail you a check minus a consignment fee. Know your state/federal firearms laws BEFORE bidding. Note also that Gun Auctions USA, LLC does NOT under any circumstances pay, nor are we responsible for any fees associated with your hometown FFL ? that is between you and your FFL dealer. No exceptions.BIDDING in Gun Auctions USA AUCTIONS: Once you have your email and password registered in your account, you may place bids as soon as an auction item opens for bidding (look at the countdown ?clock? with each item for the close time) in the online auction. Your bids are FINAL and constitute a binding contract. Some of our Online Auctions are Timed, note carefully the countdown time of each firearm ? you are responsible for monitoring these times should you wish to increase your bid. Should there be bids on any items within five minutes of close time, the bid on that particular item will continue for five additional minutes or more until all bids are exhausted. Please bid EARLY to avoid disappointment. ?Sniping? in at the last moment can be risky if your computer fails or runs slow ? and has no advantage in these types of extended auctions. NOTE CAREFULLY: We are NOT responsible for your SPAM catcher/your computer?s malfunctions stopping any of our E-Mails to you in regard to outbid notifications ? you are responsible for watching any gun on which you are high bidder and determining that you are the winner of the auction. Gun Auctions USA employees are firearm collectors too and therefore allowed to bid on consigned items. Once you are finished bidding, request your invoice at info@gunauctionsusa.com. Your posted wins at www.gunauctionsusa.com are final. VERY IMPORTANT: We are not responsible for computer malfunctions during the auctions and we are not responsible for ?electrical blackouts? or any other acts of Nature. We reserve the right to resume or restart or extend an interrupted auction. IMPORTANT: Make sure you hit your computer?s ?Refresh? button frequently AND check your bid standing (?Winning, Outbid, Lost, Won?) so you can assure you are the high bidder at any given time and in fact the winner.HARMONY OF THE SALE/AUCTION PREVIEW: Any person disrupting the harmony of the gun auction/preview days will surrender their password and local law enforcement authorities will be summoned. If found to be in violation of our rules, your current bids will not be honored and you will be blocked from further Gun Auctions USA Auctions ? your account will be deactivated. We reserve the right to refuse a bid number or the rights to preview the collections to anyone. DO NOT BID unless you have read all of these ?Terms of Sale?. No other rules apply! We are NOT associated with other websites and have our own terms and rules.Firearms for Online and Live Gun Auctions will be on display at Gun Auctions USA, 13200 Belcher Rd South, Largo, FL 33773 (Mon. ? Fri. 10am to 5pm & Saturday Auction Days) Additional Times by Appt. If you cannot visit the showroom for a visual inspection, we will be glad to provide additional information/digital photos of any item, but please do NOT wait until the last day or after business hours for these requests or we may not be able to accommodate you.RESPONSIBILITY OF BIDDERS: Read the descriptions of each firearm/view photographs carefully and if you have questions, E-Mail us at info@gunauctionsusa.com or Call 888-659-9909. Lot descriptions are provided for each lot item in the auction on a best efforts basis and are not intended to be definitive scholarly works or appraisals. Conditions provided are only the opinion of the auction house. The bidder is ultimately responsible for determining the condition of a lot. BE SURE to ask any questions about an item BEFORE bidding and well before closing time ? it does no good to ask questions once you have won the firearm. We want you to be happy with your online purchases and will go to great lengths to describe the firearm to you and furnish an honest appraisal. 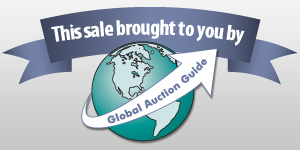 If you visit the Gun Auctions USA location, please personally inspect each firearm/item on which you intend to bid. For every bidder: Using YOUR firearms knowledge and experience, form your own opinion of the firearm and bid accordingly. If in doubt, DO NOT BID. All guns are sold as is, where is. Period. THERE IS NO INSPECTION PERIOD OF ANY KIND ONCE THE FIREARM IS PURCHASED AND RECEIVED. This is a real AUCTION and the majority of these guns are estate firearms from the deceased ? ? the estates are paid, the court documents filed and the sale is final. We do not test fire each gun and therefore do not guarantee that they will fire correctly or function correctly. We are not gunsmiths and do not take guns apart ? we cannot confirm if all of the internal parts are present on any given firearm. All gun sales are final. Any internet descriptions of the sale guns are meant merely as a guide ? make your own determination as to its worth and validity. We offer no guarantee or warranty on these firearms. We sell these guns as collectibles only and do not recommend that they be fired prior to qualified inspection. All consignors? names are withheld due to security reasons. As per contract, consignors may not bid on their firearms, nor may they purchase them. Most of our auction firearms and items start at $25 with NO RESERVE. Any paid auction items not picked up within 30 days will be auctioned and a check issued to the owner with a consignment fee deducted. The placing of a bid will be taken as full agreement to all terms & conditions.AUCTIONEER: The bidding advances shall be regulated by the auctioneer and shall be at his discretion. The auctioneer reserves the right to determine the opening bid / minimum bid on any lot. The auctioneer reserves the right to pass / no sale any lot. Items which are not reserved are sold at the auctioneer's discretion. The auctioneer has the right to refuse any bid. The Auctioneer reserves the right to execute absentee bids on behalf of clients and vendors, but shall not be liable for errors or omissions in executing instructions to bid. The auctioneer acts as agent only, and shall not be liable for any default of the purchaser or vendor. DISPUTE BETWEEN BIDDERS: In the event of any dispute between bidders or a tie bid between online platforms, the auctioneer shall have the sole and final discretion either to determine the successful bidder or to re-offer and resell the lot in dispute. The auctioneer?s sole resolution of dispute is final and applies to all bidding mediums.BUYERS OUTSIDE THE USA or Canada: We do not have an Export License, you will be responsible for your bids and must have means to transit your exportation.TAKING POSSESSION OF AUCTION FIREARMS: We absolutely observe all Federal and State gun laws. We hold a Federal Firearms License in Florida. The same person who registered the bid number MUST be the one to pay and pick up the auction firearm(s) at the conclusion of the sale at the Gun Auction USA Auction facilities ? no one else will be permitted to make the transfer. AVOID THIS PROBLEM ? DO NOT UNDER ANY CIRCUMSTANCES BID FOR ANOTHER PERSON. Merely tell the person to register and create their own account and password. Firearm sales to non-licensees (with the exception of muzzleloaders or antique arms manufactured before 1898 or non-guns) will be subject to and must pass the FBI Instant Check ? NICS. The only exception is a licensed Federal Firearms Dealer or Curio & Relic Collector License holder (guns MUST be on ATF approved C&R list or be 50 years or older) who must present a current, signed copy of a license (or FAX or E-Mail scan). CAREFULLY NOTE: As per ATF instructions, we send our FFL only to other FFL?s and NOT C&R?s or non-licensees. If you are NOT a Florida resident, you may not take direct possession of a handgun (FFL or C&R Collectors may take immediate possession of qualifying handguns) ? see next section below. If you delay after your Instant Check, you will merely pick up your auction firearm(s) later at the Gun Auctions USA Auction location. If you deny after your Instant Check, you will NOT take possession of your auction firearms or ammunition and they will be sold at our next available auction and a check will be mailed to you for whatever the gun brings minus a commission fee. If you know you are not supposed to possess a firearm, do not bid at our sales. We will summon law enforcement officials on the matter.AUCTION GUNS WON BY OUT OF STATE BIDDERS: : If you are not a Florida resident, we will ship your firearms to your local gun dealer when he faxes us his signed, current FFL license, E-Mails a copy, or sends it in the mail. If you have a current ATF C&R License we can ship qualified firearms to your home if your state law permits. The shipping cost varies according to size, weight, value and destination. In some cases we can get two or more handgun/rifles in one box and the charge per gun will be reduced. We?ll work with you on this to be the most economical. We will provide a tracking number to you once the gun ships if you request it. We are experts at packing firearms correctly and will make sure your firearms get to your dealer safely. We highly suggest that your local FFL dealer be instructed by you NOT to open the shipping carton until you are present. This is very important! Your name will appear on the shipping label to facilitate this request. Announcement:Information contained herein is presented on behalf of the seller. Gun Auctions USA, agent for the seller, cannot guarantee the information to be correct or assume the liabilities for errors and omissions. All lines drawn on maps are approximate. Buyers should verify the information to their own satisfaction. Any announcements made from the auction block on day of auction will take precedence over any matter of print and will be final. Beretta UGB25 Xcel 12 ga. Semi-Auto Trap Shotgun. Beretta SILVER HAWK 12 ga. SxS Shotgun. Like New. COLT DIAMONDBACK .38 SPECIAL Revolver. Very Good. S&W 48-7 .22 MAGNUM Classic Revolver. Like New. 4"
Volksgewehr BNZ45 VK-98 MAUSER 8 MM Rifle. Walther GSP .22 LR Semi Auto Pistol. Very Good. 4. Smith & Wesson 48 .22 MAGNUM Revolver. NEW in Box. Beretta SO5 Sporting 12 ga. O/U Sporting Shotgun. IVER JOHNSON M1 CARBINE .30 Cal. Semi-Auto Rifle. Smith & Wesson 52-2 .38 SPECIAL Semi Auto Pistol. COLT D.A. .32 Cal. Revolver. Good Condition. 3.5"
Shepherd Rogue 2.5-10x50 Combo Scope. New In Box. Beretta 686 ONYX 20 ga. O/U Sporting Clay Shotgun. SAKO L691 .30-06 Bolt Action Rifle. Very Good. 22"
Browning A-BOLT 7MM REM MAGNUM Bolt Action Rifle. Beretta 92 FS 9MM Semi-Auto Pistol. NEW in Box. 5"
STEYR C9-A1 9MM Semi-Auto Pistol. NEW in Box. 3.5"
KAHR P40 .40 S&W Semi Auto Pistol. Good Condition. Remington Arms 870LW .410 ga. Pump Action Shotgun. RUSSIAN MOSIN NAGANT 7.62 x 54r Bolt Action Rifle. Remington 710 .30-06 Bolt Action Rifle. Very Good. Ruger MINI THIRTY (30) 7.62 x 39 Semi Auto Rifle. Remington Arms 700LH .25-06 Rifle. Very Good. 24"
Western Field M550ABD 12 ga. Pump Action Shotgun. BELGIAN BICYCLE GUN 7.65 Revolver. Good Condition. Walther PPK/S .22 LR Semi Auto Pistol. Very Good. Massachusett Arms Civil War Carbine .50 Rifle. Glock 27 .40 S&W Semi Auto Pistol. Very Good. 3.5"
CENTRAL ARMS CO SxS 16 ga. Double Barrel Shotgun. Smith & Wesson 34-1 .22 LR Revolver. Very Good. 4"
Browning TAKE-DOWN BELGIUM .22 LR Semi Auto Rifle. SPRINGFIELD ARMORY XD-40 .40 S&W Semi Auto Pistol. ITHACA 37 20 ga. Pump Shotgun. Good Condition. 18"
North American Arms MINI-REVOLVER .22 LR Revolver. S&W 10-7 .38 S&W Revolver. Excellent Condition. 2"
LLAMA Stoeger SEMI-AUTO .380 ACP Semi Auto Pistol. Ruger LCP .380 ACP Semi Auto Pistol. Very Good. 2. Beretta 92FS 9MM Semi-Auto Pistol. NEW in Box. 5"
Remington Arms 700 LH .243 Win Bolt Action Rifle. Ruger 10-22 .22 LR Semi Auto Rifle. Very Good. 18"
Slovia 618 .177 Single Shot Air Rifle. Very Good. IVER JOHNSON CHAMPION 16 ga. Single Shot Shotgun. ITHACA 37 FEATHERLIGHT 20 ga. Pump Action Shotgun. Ruger NEW VAQUERO .45 COLT Revolver. Like New. 5"
ROCK ISLAND ARMORY 1911 .45 ACP Semi Auto Pistol. IVER JOHNSON CHAMPION 12 ga. Single Shot Shotgun. HARRINGTON & RICHARDSON TOPPER JR MODEL 490 20 ga.
AMT BACK UP 9MM KURTZ Semi-Auto Pistol. Very Good. HARRINGTON & RICHARDSON H&R SELF-LOADING .32 Cal. Iver Johnsons Arms and Cycle Works CHAMPION 20 ga.
IVER JOHNSON CHAMPION 20 ga. Single Shot Shotgun. Arrow .177 Air Rifle China Rifle. NEW in Box. 16"
Remington Premier STS 12 Ga Ammo. 225 Rounds . Case Guard SF100 Assorted 12 GA. Ammo . Very Good. Federal TruBall Low Recoil 103 Rifled Slug 12 Ga.
8 Boxes of Blazer 50 Rounds Each of 115-grain FMJ. Fusion 300 WIN MAG 165-grain Ammo . NEW in Box. Remington, Fiocchi, Laupa 22 S Ammo. 1900 Rounds. Case Guard, Remington, Winchester, Brenneke 12 Ga.
Federal, Brenneke, Hornady 12 Ga. Ammo. Very Good. Ithaca 37, 12 Ga. Pump Barrels. Very Good. 20",28"